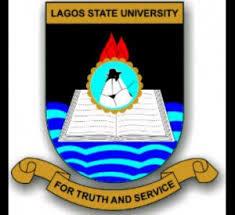 Lagos State University, LASU Management Affirms 8am as Resumption Time and 4pm as Closing Date for all Members of Staff. In a bid to instil efficiency, timeliness, service delivery and build confidence in the University system, the Management hereby re-affirms that the resumption time for members of staff remains 8:00am, while the closing time is 4:00pm. This information becomes imperative because, the authority has noticed that some members of staff do not resume work or be at their duty post at the appropriate time. On Monday, 11th February, 2019, the Registrar, Mr. Mohammed Olayinka Amuni, mnim, in company of some Deputy Registrars visited some offices, Units, Departments, Centres, Faculties to discover that as at 9:00am, a large number of the workforce had not resumed for duty at their duty post. In view of this unpleasant development, members of staff are strongly advised to desist from coming late to the office as well as not staying at their duty posts. Finally, members of staff who were not found at their duty post on Monday, 11th February, 2019, by 9:00a.m, are warned to desist from such act. Henceforth, those found contravening the resumption rule would be sanctioned accordingly.